Lately I’ve been searching for new friends to skate with. So I thought I’d try to become friends with some pros on Facebook. 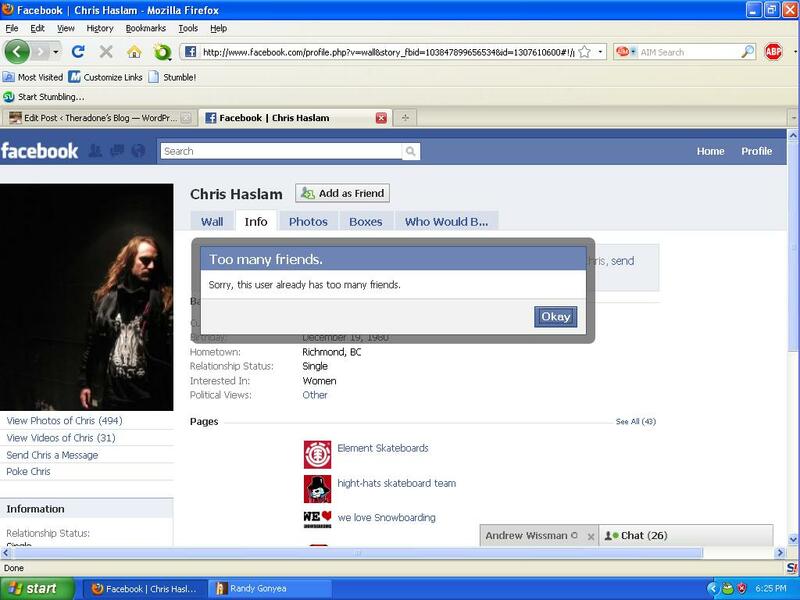 LAME, I know, but what’s even more LAME is the rejection Facebook gave me for trying to be friends with Chris Haslam. I’ll try my luck… never again ever. why would you want to be friends with a circus clown anyway?